Easter is traditionally the beginning of spring for many people and, therefore, the first good cookout weekend of the year. This is also a big food weekend filled with ham, lamb, turkey and prime rib, so this is the perfect time to fire up your grill or smoker and make a great meal. Remember that anything you can roast in your oven can be cooked outdoors for more flavor, more fun, and more cooking space in the kitchen for everything else you plan to prepare. This is a great way to take a regular cooked ham and turn it into something spectacular by applying a spicy rub and placing it in a smoker. Let it smoke for a long while and it will taste great. This is a classic prime rib recipe cooked on the grill. The secret is to keep the temperature low enough during cooking and to remove it from the grill when done. Be sure to grill indirectly and also use a drip pan to catch the drippings. This grilled lobster is perfect for any occasion. If you don't have a lot of experience grilling shellfish, then this easy recipe is for you. This leg of lamb is marinated with a delicious wine and herb mixture, placed on a rotisserie and basted throughout the cooking process. It's perfect for the holidays and any large party. Next time you decide to roast a turkey, try it rotisserie-style on the grill. This is a simple, easy-to-follow, delicious recipe for beginners. 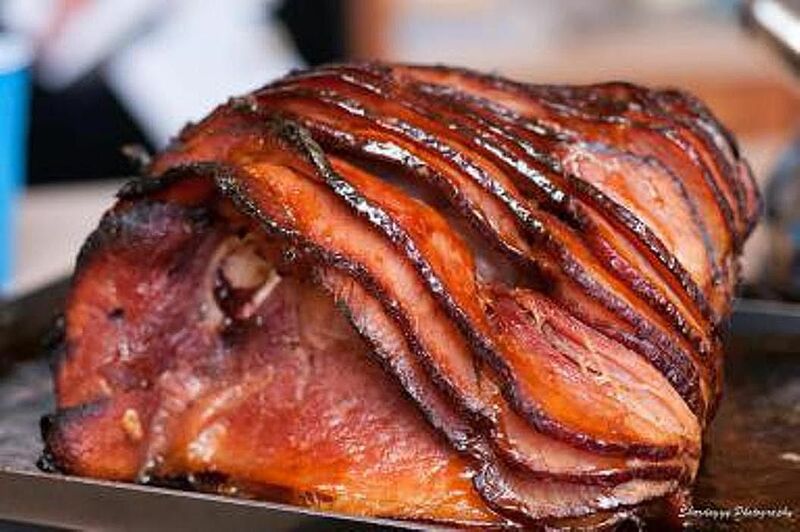 This method of heating a ham gives it that crusty sweet coating that everyone loves. Start with low heat to get the ham up to temperature, then glaze and put on the flame to caramelize the sugar and give it a good crust. This is a classic Greek-style rotisserie leg of lamb. A great meal for any occasion or holiday, such as Easter. This lamb is so good you'll want to celebrate Tuesday with it. This is a basic recipe for a rotisserie turkey. Remember that you have to have a rotisserie kit that is strong enough for the weight of the bird. This Greek-style marinade can be applied to any meat but is particularly good on lamb. Let the meat marinate for a while so the flavors can infuse.